Auto Q Biosciences staff are highly skilled in the logistic management of complex bioprocess automation challenges. From high throughput, small scale processes to large sample volume operations, Auto Q applies its expertise in hardware provision, software programming and biological testing to ensure a reliable and rapid solution. 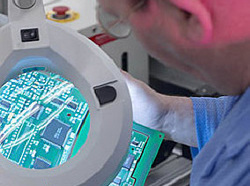 Often no single manufacturer offers the ideal solution for all customer requirements. Auto Q Biosciences is able to access the best equipment, chemistry available from suppliers or custom build the required elements to deliver the final product. 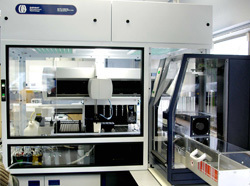 Contact Auto Q Biosciences today to discuss your automation project. When a major item of capital equipment is relied upon to deliver a valuable function on a daily basis, then its maintenance becomes an absolute necessity. Auto Q Biosciences Service Department routinely maintains equipment supplied by Auto Q and can undertake the servicing, maintenance and breakdown cover for companies without a base in the UK. Auto Q Biosciences offers two levels of service cover; all inclusive and standard cover, but a customised service plan can be arranged. Please contact us to discuss your requirements.